Art enriches all of our lives! 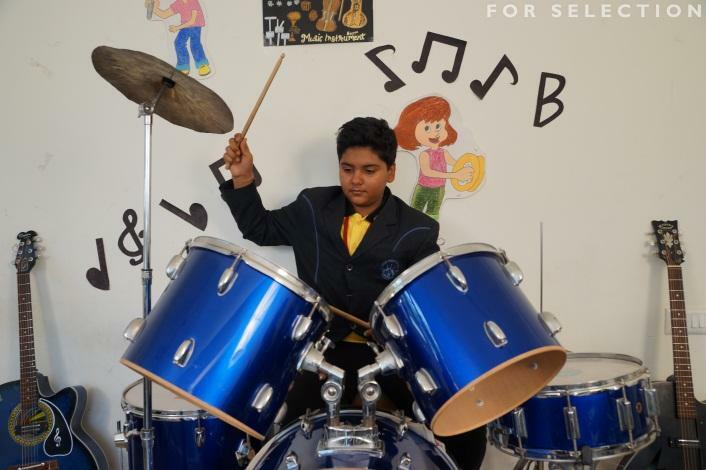 Here at The Music Room, we provide a nurturing environment for children to engage in the finest performing arts education. Our staffs are composed of experienced educators and professional performers, who provide our students with the very best in technical training and performance opportunities. Most of our teachers are well trained in Carnatic music and Hindustani music. 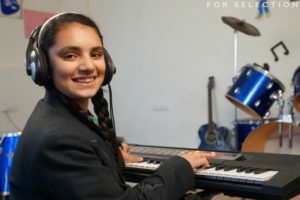 The Music lab transforms lives through excellence in music teaching, performance, creative activities, research, and service. 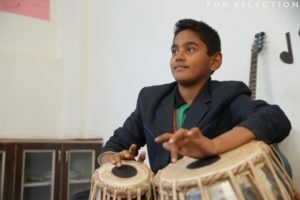 The lab has all kinds of an instrument like drums, keyboard, Veenas, Mridangam, Tabla, dholak, Dappu, Kanjari, Congo, Bongo, guitar, digital tanpura. 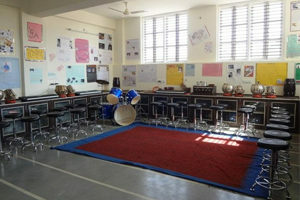 The number of instruments is as per class strength so that each student can get his/her personal instrument to play. The lab also has a music library which contains a wide range of music-related books. Collections also include non-print materials, such as digitized music scores or audio recordings etc.